Granted, we need to be mindful and protect our cars from the damaging effects of those glorious rays. Inside a car, air temperatures rise to well above 145 degrees. When exposed to direct sunshine, the dash and seats can easily approach 200 degrees. The outer surface of a car can get very hot as well. An engine is less efficient under the sun's heat. Additionally, the paint finish can start to show wear more quickly when a car is always parked in the sun. Are You Taking These Four Precautions to Keep Your Car Safe From Sun Damage? Use sun protection visors inside your car windows. Getting in this habit keeps your car cooler while protecting it against damaging rays. Once you start using these shields, you'll find they're a cinch to open and put into place on your dash. Wipe your dash and seats regularly. 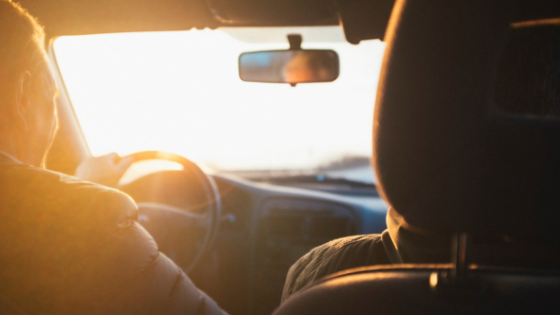 Sunlight combined with dust can gradually erode the finish of your car's interior surfaces. If you wipe interior surfaces with a damp cloth on a regular basis, you'll clean off grime and particles that can hasten wear and tear. Consider the benefit of seat covers. Covers protect all seats, no matter the material. Even inexpensive, fold-up covers can help a great deal. Plus, they keep your body and your clothes fresh while you drive. Park in a shady spot. Avoid direct sunlight when parking to protect your car. Consider opening your windows a crack, too, to allow fresh air into the vehicle and avoid a buildup of interior air pressure. Living at our Northridge apartments means enjoying beautiful weather most days of the year. We provide covered parking to help keep you cool and protect your car's good looks. To see this and all the luxury amenities at the Candlewood North Apartments in Northridge, CA, call (866) 796-2183, or send us an email today. We'd love to take you on a personal, guided tour of the apartment homes that await your visit.